Baby monitors come in two styles: analog baby monitors and digital baby monitors. There are pros and cons to both kinds of baby monitors and you might be wondering: which is the best type? All baby monitors work the same way whether they are wireless or wired. They come in two parts: a transmitter unit and a receiver unit. The receiver unit is what you with you, and it lets you hear the audio and/or video transmitted. Depending on the type of baby monitor you have, it will be either a handheld monitor or a monitor that sits on the counter like a TV. The transmitter unit is placed wherever your baby is, and uses a wireless signal to transmit the image and sound back to the receiver unit. The format of the wireless signal is what determines whether the baby monitor as analog or digital. 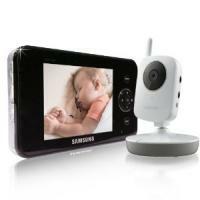 Amazon has great deals on baby monitors: Click here to check out their selection. All have free shipping! 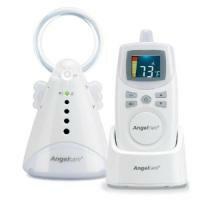 There are a number of advantages and disadvantages to both analog and digital baby monitors, and it’s important that you understand the pros and cons of each. 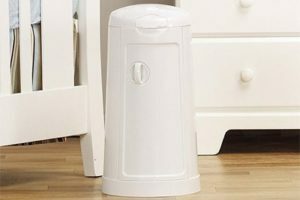 Depending on where you live and your lifestyle, it might make a huge difference whether you choose an analog baby monitor or a digital baby monitor. 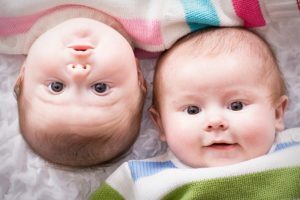 Here are the differences and what you should be thinking of when it comes to deciding between what type of baby monitor you want. Because wireless baby monitors transmit the signal through the air, it is always possible that someone outside of your house can pick up the signal. This has been a concern for some parents, and there was even a recent news story covering this potential problem. Wireless baby monitors are never 100% secure, and if you live in a densely populated area, there’s a good chance that if your neighbor has a similar wireless baby monitor they may be able to pick up the signal from yours. 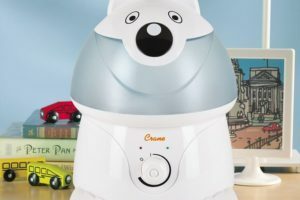 This would give people outside of your home access to both the audio and video feed of the monitor, letting them see exactly what’s going on inside your baby’s room. Imagine if a criminal or someone you would not want around use this to their advantage. Digital baby monitors are much more secure when it comes to this problem, and it is far more of a problem with analog monitors. Newer digital baby monitors use encryption on the wireless signal, making them much more secure than those without such an encryption. Another large concern that and think about when it comes to wireless baby monitors is interference. A large number of things can cause interference with wireless monitors, and this includes things like radio signals, wireless signals from other types of wireless devices that might be in your home or in neighbor’s homes, etc. even microwave ovens can cause interference on a wireless signal. Digital baby monitors operate on a frequency that makes it much less likely for interference to be a problem. Having said that, many baby monitors, both analog and digital, will allow the user to switch between multiple radio frequencies in the case that something is causing interference. Analog vs. Digital: Which is Right For Me? Here are some things you might want to think about when you are trying to decide between an analog or digital baby monitor. How close do you live to your neighbors? — If you live in a densely populated area with a lot of close neighbors nearby, and analog baby monitor will be much more susceptible to interference from all of the wireless signals around. Not only that, but it makes it more likely that your monitors wireless signal will be picked up by somebody else. Because of the way wireless signals work, it’s not uncommon for them to cross paths. It would be pretty awkward to pick up a fight in your neighbors home, wouldn’t it? On the other hand, if you live in a rural area or a place where you don’t have any nearby neighbors, you’ll probably be just fine with an analog baby monitor. What other wireless devices do you have in your home? — If you have cordless phones, radios, or even a microwave oven, these can all cause interference on a wireless baby monitor. Your neighbors wireless devices might even be a problem with this, too. If there are a lot of other wireless signals around, a digital baby monitor will be much less likely to have problems with this. Sound and video quality — The sound and video quality of digital baby monitors is usually a lot better than that of comparable analog monitors. This isn’t really a huge deal, but it might be something that is important to you. The cost — This is also something to think about. 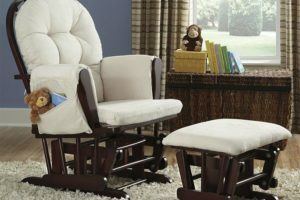 Since analog baby monitors have been around for a long time, the technology is generally less expensive and you will probably spend a lot less money on an analog monitor. Don’t skimp out just because of the price, though. 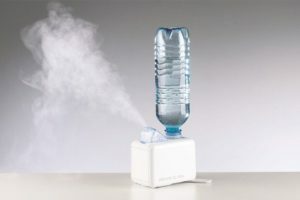 Health risks? — Some parents worry that digital baby monitors might have some sort of health risk attached to them. 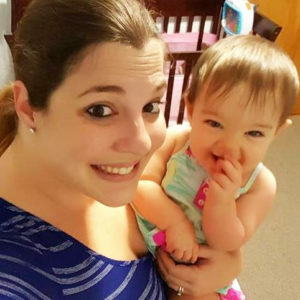 While there are no studies that suggest that this is the case, if you are someone that likes the idea of being safe rather than sorry, you should try to put the monitor is far away from your baby as possible, or go with an analog monitor instead. Once you’ve decided which type of baby monitor would be best for you, you can read our reviews and guides to find a great monitor. A baby monitor is an excellent way to have peace of mind in knowing that your baby is sleeping soundly, and should be something that every parent has in their home. I have been researching EMF for quite sometime and feel it is detrimental to have wireless baby monitors in a room with your baby. Research is out that there is a possible correlation between autism and wireless digital monitors as they send out “continous” microwave pulsed radiation. As a parent we should do our do diligence with our babies health. As much as I love technology and video monitors I am rethinking the safety. Great comments to consider on audio versus video baby monitors. I have considered the thought of someone “hacking” into my video cam, but never the signal interference. Thanks for more great things to consider.